People kept telling me to read this and when I finally did I was kicking myself for waiting so long. I couldn't put it down. When two friends become embroiled with an older couple, the bonds of both relationships are tested. It's perfectly written, juicy, and so sharp. I am obsessed. Deliciously written, this is a snarky, real, fun, and sad portrayal of contemporary friendships and liaisons. 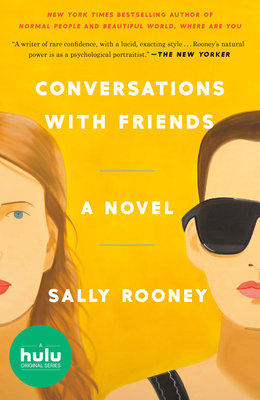 Conversations with Friends is a smart but guilty pleasure that is oddly difficult to put down. Crisp, delicious, and easy to read while still packing a kick, like a good drink, the kind you'd want when you're out with friends, the kind of friends you've got a will-they-won't-they sexual tension with.